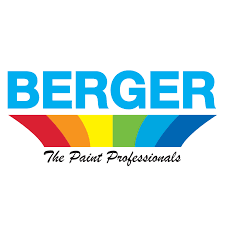 Berger paints was incepted during 1760 in United Kingdom (UK) by a young German chemist, Lewis Berger. He perfected a new process for making the color Prussian Blue. At a time when most military uniforms shared the same color, the pigment achieved great significance and aided in the great growth of the Berger brand. The company Berger Paints International Ltd. (BPIL) was first established in Tanzania in 1951 and is the oldest paint company in the country today. With manufacturing bases in Tanzania, Kenya and Uganda. Currently the company is fully owned and operated by the Bharwani Group, a well established business group whose activities in East Africa cover Printing, Banking, Information Technology, Computers and Real Estate. Berger Paints is committed to continuously providing quality and service to the East African region with British Standard certification. Today, BPIL is the oldest consumer driven company in Tanzania which started its operations in 1951. BPIL’s products are popular under the renowned brand name,“ROBBIALAC”. All success can be attributed to our loyal customers, who strive for quality and insist on purchasing Berger’s – Robbialac brand – “The Better Paint”. The long years of existence in the Paint Industry are due to our continuous consistency, quality and reliability of our products.